Overtraining syndrome (OTS) is a major threat for performance and health in athletes. OTS is caused by high levels of (sport-specific) stress in combination with too little regeneration, which causes performance decrements, fatigue an possibly other symptoms. Although there is general consensus about the causes and consequences, many different terminologies have been used interchangeably. The consequences of overreaching and overtraining are divided into three categories: (i) functional overreaching (FO); (ii) non-functional overreaching (NFO); and (iii) OTS. In FO, performance decrements and fatigue are reversed within a pre-planned recovery period. FO has no negative consequences for the athlete in the long term; it might even have positive consequences. When performance does not improve and feelings of fatigue do not disappear after the recovery period, overreaching has not been functional and is thus called NFO. OTS only applies to the most severe cases. NFO and OTS could be prevented using early markers, which should be objective, not manipulable, applicable in training practice, not too demanding, affordable and should be based on a sound theoretical framework. No such markers exist up to today. It is proposed that psychomotor speed might be such a marker. OTS shows similarities with chronic fatigue syndrome and with major depression (MD). Through two meta-analyses, it is shown that psychomotor slowness is consistently present in both syndromes. This leads to the hypothesis that psychomotor speed is also reduced in athletes with OTS. 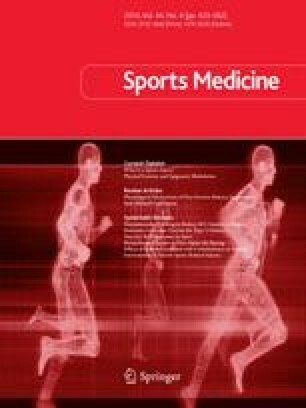 Parallels between commonly used models for NFO and OTS and a threshold theory support the idea that psychomotor speed is impaired in athletes with NFO or OTS and could also be used as an early marker to prevent NFO and/or OTS. Preparation of this manuscript was financially supported by the Dutch Ministry of Health, Welfare and Sport. The authors have no conflicts of interest that are relevant to the content of this article.